Axl tries to get a job, Brad leads Sue's no-cut a capella group, and Brick has some relationship problems this week. This week, Frankie and Mike are concerned about Axl's plans after college, though he tells them he has it all planned. However, he ends up discovering that he is way behind, by going to the job fair as a senior, while the others are juniors. This story has a great ending, when Mike tells him about a time in his past when he messed up, and there is a funny moment where Axl asks if that was the only time he did something like that, and Mike says it's the only one Axl needs to know about. 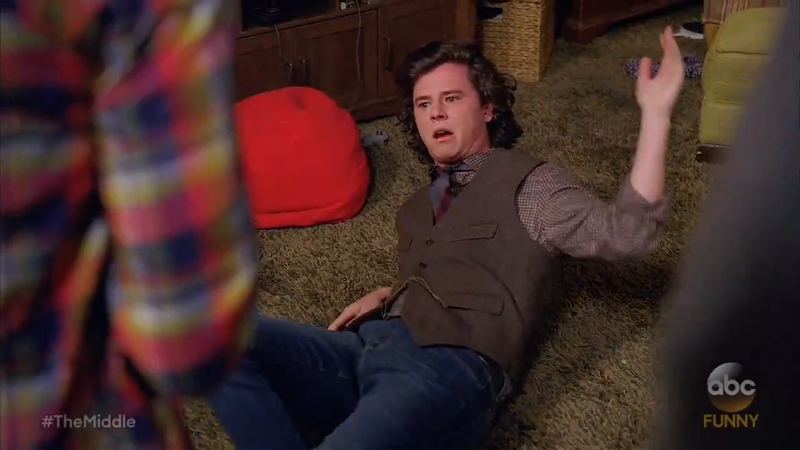 Sue tries to help Brad get things to do at East Indiana State, and he ends up leading Sue's no-cut a capella group. The group is terrible, but they fight their way into a competition. Brad wants a couple of people in the group to quit, however, everyone but Sue ends up quitting. This story seriously lacked in funny moments, which is surprising considering it was a Sue and Brad story. Cindy wants to spend more time with Brick, so Brick suggests that they read together. It is very funny as Brick is annoyed with how fast her reading speed is, and then when he criticizes the audiobook. He has her read Planet Nowhere, and it is very funny when he is nervous about if she will like it or not. Axl's story and Brick's story were very funny, and really tapped into the two's personalities. Sue's story was not very strong. What did you think of "Pitch Imperfect"? Leave your thoughts in the comments!